Australian owner of Solomon’s gold mine, St Barbara says it has not ruled out third party sale of the project. 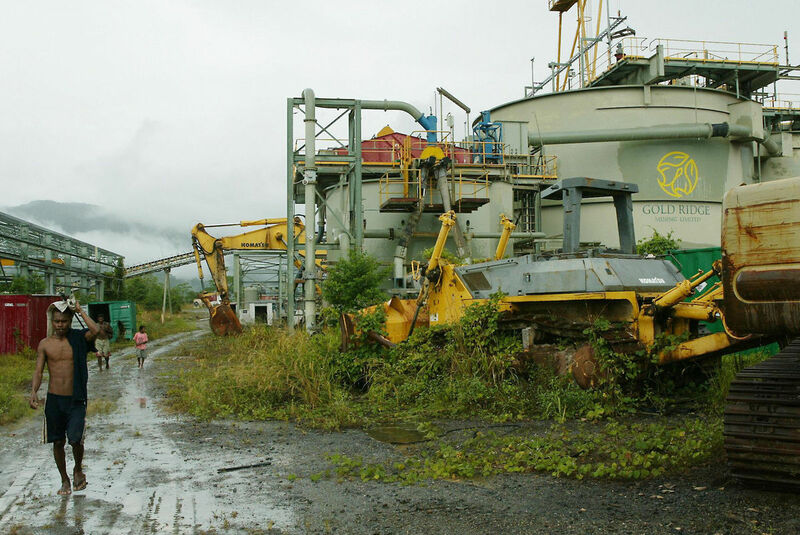 The owner of Solomon Islands closed Gold Ridge gold mine says it is still getting third party interest in buying the mine despite ongoing negotiations to transfer ownership to the Solomon Islands government. Negotiations between the previous Solomons government and Australian based St Barbara were well advanced last year but the company has had to start from scratch with the new government coming into power in November. St Barbara’s chief executive Bob Vassie told Koroi Hawkins he is keeping an open mind in considering the future of the mine. BOB VASSIE: We still have plans to see if we can transfer the assets to the Solomon Islands government. Obviously there has been a change in government in November so we are having to sort of reinitiate that with a new government and new ministers. KOROI HAWKINS: Also you spoke very strongly about the tailings dam facility and being concerned about dealing with that. So far it seems it hasn’t overflowed, what is the situation now? BV: You are right it hasn’t overflowed and you are also correct I remain very concerned about that and in fact am more concerned with each passing day. I think it hasn’t been the high level rainfall that you would normally get over the November, December, January time but if we recall the big floods of April last year which actually ceased the operation at that time. It just shows you that you could be a day away from the tailings storage facility overflowing. Probably one that may be of interest is that the World Health Organisation has been engaged by the Solomon Islands Government. We think that is a very positive step, they are due to deliver their report shortly. And we are hopeful that it will support release of the water but we will have to see the final report. KH: I spoke with Prime Minister Sogavare before coming back to Wellington while I was still in Honiara and he seemed to be keen to separate the tailings dam from the issue of the transfer of ownership. Is that something St Barbara is happy with? BV: Look I think that is entirely rational, I guess they need to understand what a transfer might mean and that it would take some more time I agree. And the tailings water facility issue is an urgent, current issue. If we are able to get that sorted out it does not weaken either sides position on a transfer but I am just not happy with the mounting risk of an overflow with the tailings storage facility. KH: So it is not that case the St Barbara is trying to push both subjects sort of through the pipe, getting the tailings dam sorted and the transfer of ownership done at the same time? BV: We are pushing both aspects but the tailings facility is more urgent and our main push has been on the tailings storage facility. KH: How long are you prepared to wait on the Solomon Islands government before you decide maybe to put it out on the open market? BV: The property itself was on the open market, you know ideas or interests from third parties has always been ongoing before, into the second half of last year. There actually is still some interest out there given that the gold price has increased in recent times so we would still consider third party interests and it is quite possible that the government would want to go that way as well if it meant there was a prospect of the operations coming back on line. Yesterday’s post on Bougainville’s President Momis has caused a stir in social media forums. The authenticity of his controversial statement has come into question. It is entirely out of character some argue. Below are quotes that plot the evolution of Momis’ position on Panguna. ‘BCL needed PNG to open the mine in the first place and keep it open because of the long-standing local opposition to the mine. In fact, it was BCL that requested the aid of its partner, PNG, to deploy defence forces to suppress the uprising and reopen the mine. BCL requested that PNG reopen the mine by whatever means necessary, and later assisted in planning and the imposition of the [military] blockade … It is important to Bougainvilleans and the long-term reconciliation process that Rio Tinto’s responsibility be addressed in an impartial forum by an impartial judge … It is well understood if the Panguna mine did not happen the Bougainville war and blockade would never have occurred’. ‘There are ‘no two ways about [it, the] Panguna mine is being opened in the not too distant future’. ‘The Bougainville Copper Agreement was made between the colonial Australian government and Rio Tinto. That agreement according to many of us, is a bad agreement. But unfortunately it is the agreement that governs the operation of the mine. So if we just ignore it … then we could be up for libel. Remember Rio Tinto is a very powerful company! So my suggestion to landowners and the people of Bougainville is for us to start negotiating, get our mining law passed, and start negotiating with them’. ‘Actually the people of Bougainville are saying Panguna Mine does not belong just to the landowners’. If you think miners or developers on land struggle with environmental legislators, spare a thought for those looking to develop resources under the ocean via seabed mining. The International Seabed Authority, a UN agency, has so far issued 26 exploration licenses to governments and companies enabling them to operate in international waters but none of them have reached commercial realization. Even in national waters governments are coming down on the side of the environmental lobby when new applications are being put forward. 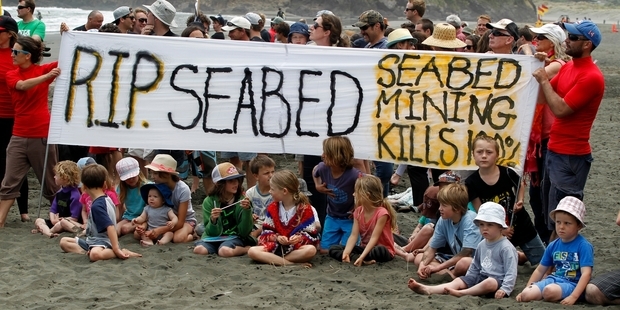 After leading the way in supporting early proposals, the New Zealand environmental regulators have recently turned down an application from an ocean mining firm Chatham Rock to develop a site off the coast, some 450 kilometers southeast of Wellington, the FT reports. The site in question is said to be rich in phosphate, used in fertilizer manufacturing, and said to hold enough to meet 25 years of New Zealand’s current consumption. Chatham Rock have invested $33 million over seven years researching the environmental impact and developing the extraction processes. It is not hyperbole to say the ocean floor is the last great mineral reserve on the planet. Polymetric nodules, sometimes called Manganese nodules, sea floor massive sulfides and cobalt rich ferromanganese crusts between them hold many times the availability of certain metals as there is on land. One of the largest deposits is the Clarion-Clipperton Zone. The CCZ covers an area of around 9 million square kilometers, approximately the size of Europe, and is located in the Pacific between Mexico and Hawaii according to World Ocean Review. Although concentration of nodules varies on average, one square meter in the Clarion-Clipperton Zone contains around 15 kilograms of manganese nodules (33 lbs. per 10 square feet). Especially rich areas can have up to 75 kilograms. The total mass of manganese nodules is calculated to be around 21 billion metric tons. Environmental bodies worry that too little is known about fragile seabed ecosystems and allowing seabed mining could cause environmental damage on an unprecedented (and mostly unseen) scale. Sediment stirred up by dredging processes would be returned to the seabed after separation of the nodules but could cause plumes that would settle over a wide area. They may well be right, but that probably won’t stop the industry from eventually moving forward. Metallic resources are too finite on land and the quantity available for exploitation in the oceans is too vast for an effective moratorium to last. Technology will play a part as ways are found to collect nodules, typically between the size of a potato and a football, but leave minimal disturbance of the surrounding seabed. It’s a tall order; some of the richest resources are up to 6500 meters (20,000 ft.) below the surface. New technologies are being developed but investment is hampered by uncertainty among investors over environmental hurdles. Ultimately a way forward will have to be found, as available resources on the surface are exhausted but leaving mining companies to their own regulation is not the way forward as anyone who has witnessed the degradation caused by Canada’s tar sands projects or China’s rare earth mining will acknowledge. This statement by the women representatives at the Lincoln peace talks made in 1998, rings as true today as it ever did. The wolves who drool with hunger over Bougainville’s resource will have to get past the women for who land is sacred and not for sale! “To survive, we looked within our culture, our traditional society and ourselves. In almost all areas of Bougainville, women traditionally own the land. The land is sacred and protected by men on behalf of the women. The men as guardians share leadership with women, taking the responsibility in open debate to protect women from potential conflict; however, women have the power to veto decisions, and therefore are involved in the final consultative process. The destruction of this balance of power as held in Bougainville in traditional times occurred through Westernisation in the colonial period. It is a tragic fact that the ignorance of external powers exercised in Bougainville by default weakened the traditional balance that kept a peaceful and harmonious society. In the recent absence of formal Western political structures, our people in social crisis have turned to traditional decision-making methods in which women have been restored to their rightful place in leadership. Women have built bridges between their families, clans and displaced fellow Bougainvilleans by working for mutual survival, whether it be in the bush, in care centres or wherever they have hosted strangers in their own communities. In our society, although men and women have distinctive roles, they are complementary. We, women are co-partners with our men and as such we are not daunted by the enormous tasks that lie before us to bring about a new Bougainville. In holding to the peace message that has spread in Bougainville from Burnham, we, the Women’s Delegation at Lincoln University Leaders’ Meeting, affirm with all our sisters and fellow Bougainvilleans our determination to make this peace process work until we reach our common goal of freedom “. The tailings dam at the Australian-owned Gold Ridge mine in the Solomon Islands is close to failing, according to a researcher who visited the site recently. 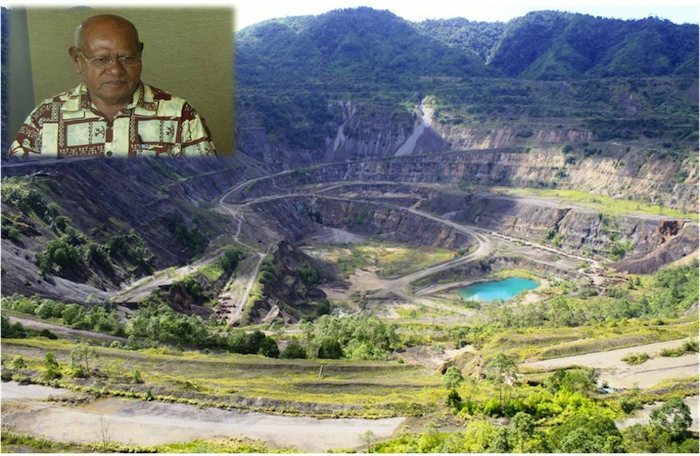 The mine’s owner, company St Barbara, and the Solomon Islands government have been at loggerheads for several months over how to deal with the situation. St Barbara wants to release untreated water from the tailings dam into a nearby river, but the government is insisting it must be treated first. Matthew Allen visted the mine late last month, and says the water level in the tailings dam is rising fast. President Chief Dr. John Momis has dropped a bolt from the blue with his recent remarks in Tabago of Buin in South Bougainville. Speaking at the ordination of a Catholic Priest last Sunday, President Momis let in on what would be significantly his most controversial move as President. “Panguna will be reopened by force” said the man whom on the other hand has always said he believes in non-violence. Attending the ordination were many dignitaries who without a doubt heard the President’s remarks on this most contentious and controversial issue. What was certainly surprising for all was, beside the fact he dropped the bombshell at an occasion where it was not expected, the ABG President has proven his commitment to making sure the mine will reopen, by any means necessary. He further went on to criticize the Panguna Landowners Association for being unreliable in fast tracking the process of reopening Panguna, and that so much resources and trust has been put on the association all to no avail in terms of outcome. Most attendees were shocked to hear their President’s remarks and they could not grasp the intention of making such comments at an occasion that was not appropriate for it. If the region’s President has the intent to reopen the mine by force, this will definitely throw the whole region back to where it was 17 years ago – knowing that most factions have not given in their weapons. This will undermine the painstaking peace and reconciliation process that is already taking longer than the given time. Much reconciliation is yet to be done throughout the island and yet President Momis is pushing for the mine to be opened without looking at the possible consequences. Even yet, mining consultation has reached a stalemate due to the Bel Kol controversy. The containment of weapons by peacekeepers was not successful and many factions continue to hold their weapons exactly for the reason of another situation such as what the President mentioned during his speech at the ordination. What also came out clear is the President’s technique in creating division within the region by saying different things to different audiences. Not so long ago Dr. Momis was addressing the Panguna Landowners Association at their Inaugural Forum where he had not a problem with the members of the association which he has criticized now in Buin. If this is going to be the intent of the Autonomous Bougainville Government, then it surely has defeated its purpose when it was first created. Chief Dr. Momis is now undoing the work of his predecessors. Moreover, though claiming to have achieved more than the previous two ABG presidents, Bougainville has become even more reliant on aid and grants from outside. The autonomous region’s economy is becoming highly dependent on aid and there is no alternative income generating avenue for ABG, something the Momis government has miserably failed upon due to all the resources put into one potential basket, the mine reopening. The National Executive Council has approved the revised Memorandum of Agreement on the Tolukuma Gold Mine along with the outcomes of its negotiations. Prime Minister Peter O’Neill said the Tolukuma agreement will be reviewed every five years. 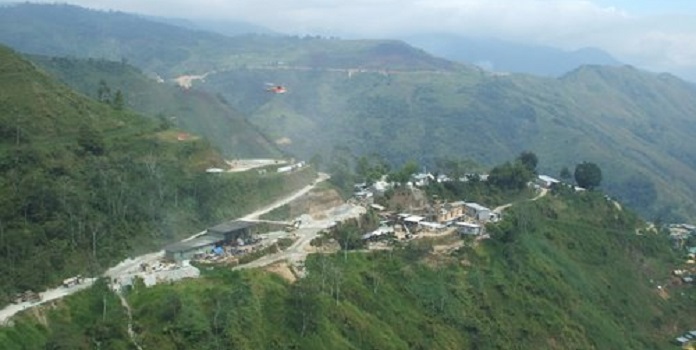 The Tolukuma Gold Mine is in the Goilala District of Central Province and can only be accessed by helicopter. The revised deal relating to the Tolukuma Gold Mining pProject was signed in 2007 between the State, Central Provincial Government, Woitape Local Level Government, Tolukuma Gold Mine Limited and the Yulai Landowners Association. “The current MoA review began in October, 2012, and was completed in December 2013 and has been agreed upon by all the stakeholders, whereby the royalty rate will be applied at two per cent. “Cabinet has further directed the Department of Personnel Management to assist in establishing the Tolukuma Infrastructure Development Committee (IDC) and an office as the vehicle of the projects under the Central provincial government structure,” Prime Minister O’Neill said. He said Cabinet also deliberated on the outstanding National Government commitment of constructing the Tolukuma Highway, which is part of the National Building and Road Network Program, and directed relevant agencies to provide funding and start work immediately. “Part of the agreement also comprises of the company’s Business Development Plan and its three-year employment and training plan,” Mr O’Neill said. He said Cabinet approved the projects to be funded under various national government programs during the lifetime of the project.